Title of the talk: Rapid Molecular Diagnosis of Infectious Diseases using a Portable LabChip-based Real-time PCR. We developed and commercialized innovative two systems for rapid and efficient nucleic acid extraction and quatitative amplification qPCR system. It takes 5-30 minutes for DNA/RNA extraction from 1-16 lysed samples using Veri-Q Prep M16 sample prep instrument. For the rapid amplication and quantification of of the extracted DNA/RNA, we generated a disposable plastic microfluidic Lab-on-a-Chip (LabChip)-based real-time PCR system. It takes a about 10-20 min for 45 cycles of real-time PCR for DNA or 30 min for reverse transciption and 45 cycles of real-time PCR (RT-qPCR) for RNA using our Veri-Q PCR316 system. It is a portable (4kg), 4 color system (4-plex), can be operated by touch screen (stand-alone) and by car-battery. It also has a function of data-trasferring from PCR machine to PC through android-based smart phone system. We recently developed 35 different types of highly dangerous pathogen kits for real-time PCR optimized for our LabChip-based real-time PCR. Our kits showed high sensitivity ranging from 1-70 copies/reaction. Korea Center for Disease Control and Prevention (KCDC) is using our qPCR kits for Emergency Cares for the country. They eqipped them in the mobile labs for rapid detection of bio-terroristic pathogens during the Pyung Chang Winter Olympic Games in 2018. We are moving forward to the devlopment of rapid accurate handheld or wearable point-of-care test (POCT) system to detect and monitor various infectious diseases. 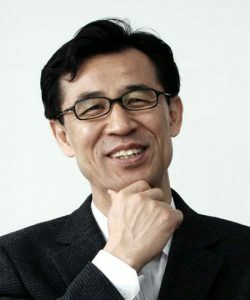 Sung-Woo Kim is currently a CEO of Mico Nanobiosys. He received a BA at Korea University and MA in Seoul National University in Seoul, Korea. After his Ph.D. at Columbia University in 1994, he was trained as post-doc at Harvard Medical School for 3 year. Then he worked for Harvard Medical School as a faculty member from 1996 to 2006. He found a molecular diagnostic company, NanoBioSys Inc. in 2009 and worked as a CEO. Now he is working for Mico Nanobiosys, MiCo Group. He led his group to generate a rapid real-time PCR system using a disposable plastic LabChip first time. This invention is patented over 17 countries. He produced more than 90 patents related to rapid molecular diagnosis field over 9 years. Based on these achievements, he received several big governmental R&D grants from Korean NIH, Commercialization Ministry, Agriculture Ministry, and Science-Technology Ministry. He exceptionally received big governmental grants and excellency awards for R&D and management. He was also selected as an invited speaker to introduce its application for Point-of-Care Testing (POCT) at Biological Weapon Convention (BWC), UN, Geneva, Switzerland (2013.8.14).